You must make reservations at least 5 minutes in advance of the time at House Without a Key. Ala Carte Dinner: Daily; 5:00 pm - 9:00 pm; Standard Dining tables and Bar (Cocktails) available. Validated valet and self parking. 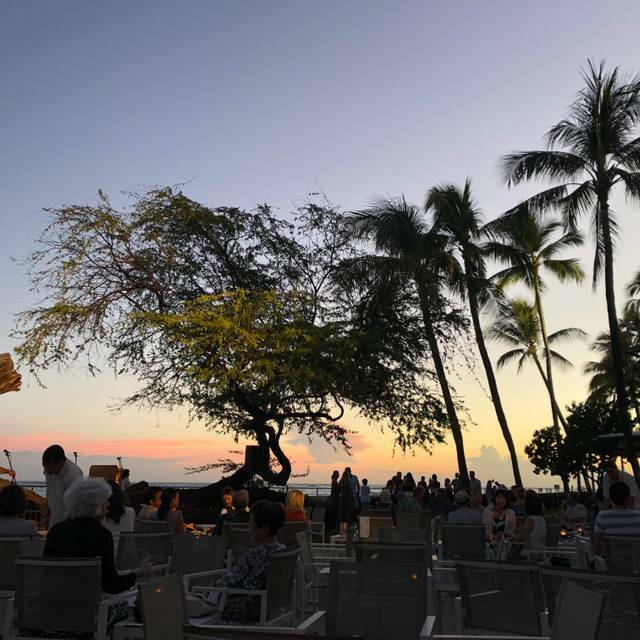 Distinctive nightly Hawaiian music (5:30pm to 8:30pm) is paired with the graceful dancing of former winners of Miss Hawaii. House Without A Key is a distinctive indoor/outdoor bar and restaurant providing more casual fare and nightly Hawaiian music. 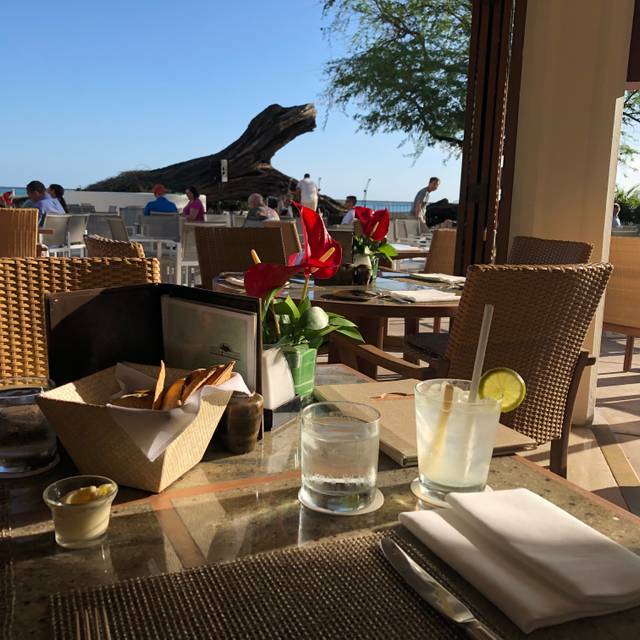 It’s Halekulani’s gathering spot for informal meals and our signature Mai Tais. Our server Jan was amazing! Excellent Sea Bass and Red Snapper! Food was very average. Very disappointing! Made me sick. Great experience as always. However I was not happy with the valet. I gave him $29 bill and asked for $15 in change and he said he would be right back and never gave it to me. Not very nice way to end my experience there. 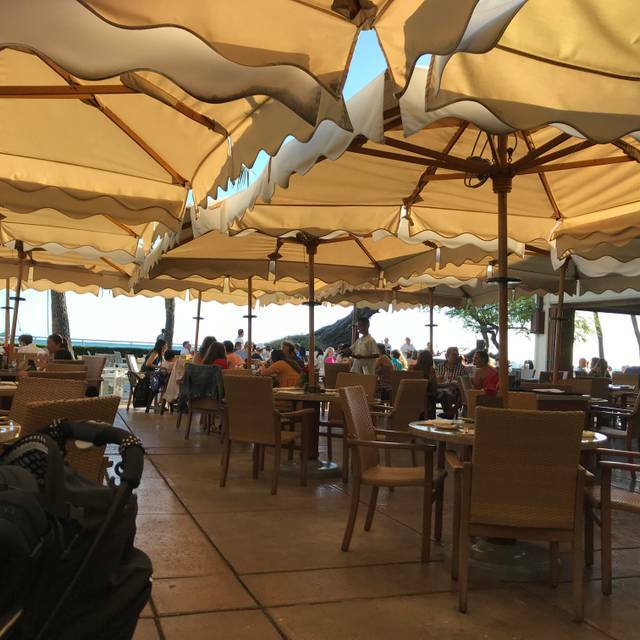 HWAK is a wonderful place with the ideal Hawaiian beachfront atmosphere. I will return again and again. The service is excellent and the food is very good. I would request a few more fish/seafood entrees. It was a beautiful evening! Thank you. The food, service and ambiance were excellent. The tempura lobster tacos, hamburger and onaga were delicious and serving size generous. Going back again with friends visiting from the mainland. Absolutely wonderful! We dined there for my mom's 65th birthday and the staff was more than accommodating regarding our requests. The signature dish and coconut cake are amazing! This is my go-to spot to bring visitors, it has it all! This is a beautiful place. There is singing and hula while you enjoy your dinner. This place is so expensive and the food is bland and not special. If you must, go for the drinks so you can sit close to the entertainment! Those are smaller tables and are in the front. We had reservations and got seated pretty far away for dinner. There is seriously nothing special about this beyond the fact it is located inside a nice hotel. Take your $200+ somewhere else with actual Hawaiian culture. This is a must go to restaurant. They have delicious food, great ambiance and courteous upscale service in a casual outdoor experience. It was the perfect place for my mother’s birthday dinner. She enjoyed the shrimp cocktail, and the trio appetizers was fresh with great presentation. Our fish was delicious and the desserts were wonderful. They even had tamari sauce to use to make my dish gluten free. Luau music started at 5:30pm and we stayed to watch the sun set. Ian made it all worth while, thank you Ian ! Visited on a Tuesday early evening to celebrate my husband’s birthday. We had originally intended just to have a drink & pupus and watch the sunset before going elsewhere for dinner. 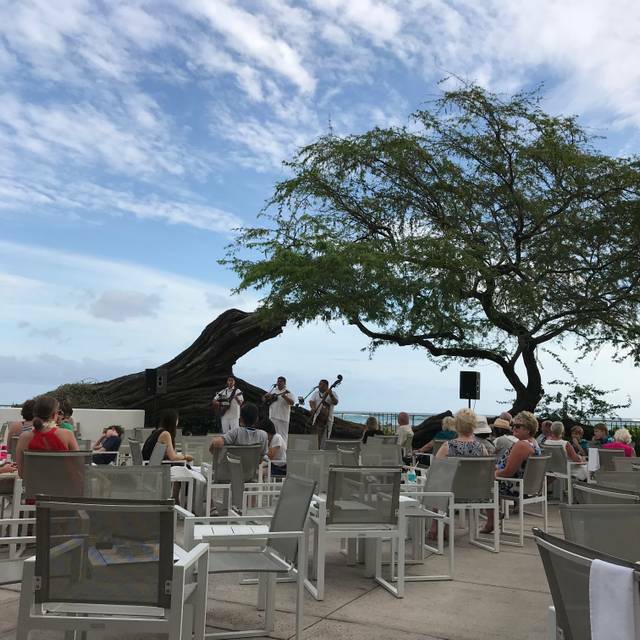 The atmosphere was so lovely though, with the trio of musicians and an Hawaiian dancer performing Hulu, that we decided to stay and spend the evening there. We enjoyed a couple of cocktails, including a delicious Mai Tai and a variety of tasty appetizers. Our teenage daughter ordered a burger and fries, which she said was delicious. All in all a pleasant evening, with a beautiful view and a lovely atmosphere. We would recommend to others and would definitely come back again. Only review and good music and nothing else. 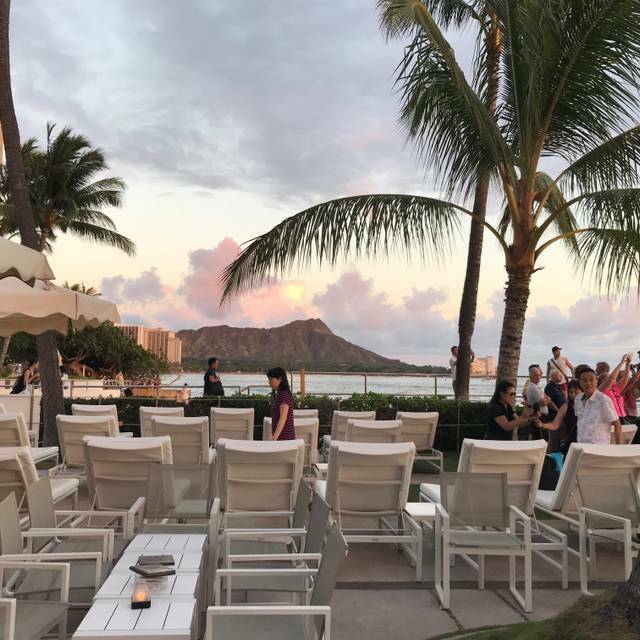 We enjoyed the live music and hula there, and the sunset was amazing. Staff was very cordial and tended to our needs. Treat for mom who celebrated her 101 birthday made her feel special. Thank you. Lovely fish. Nice location. Great service. Reasonably quiet. Lovely spot. We are locals, always take guests. Not quite a secret but feels like it. Enjoyed the music. Front row seats. Great service. Coconut shrimp which have been eating over 15 years a little dry. Excellent food, ambiance, service! It will be a "must visit" when we return!! Stunning views, attentive service from Ian, and delicious food. Only thing that could make it better... the live beautiful Hawaiian music and hula dancer! We had an unforgettable experience celebrating my birthday. The ambience was perfect, the food was delicious and the service was exceptional. We had a very nice experience. The food was amazing and portions generous. I tried the Mai Tai and was served on crushed ice made with fresh lime juice. It was more on the tart side which is how I prefer them. Melissa our waitress was extremely sweet, helpful, and attentive. Our waiter was Ian who is friendly & gave us exceptional service. Have the steam Onaga oriental style was onolicious. The House without a Key has an enviable location, facing the beautiful Pacific Ocean. Servers are deft and friendly without being intrusive, and both the alcoholic (such as the Blue Hawaii) and non-alcoholic drinks are excellent. The chef's special, onaga, was delicious. The shrimp cocktail and Caesar salad were good, although the salad could have used a bit more garlic. The coconut cake was rich and flavorful. Music is provided by an extremely good trio, with a terrific lead singer. A former Miss Hawaii performs hulas throughout the evening. 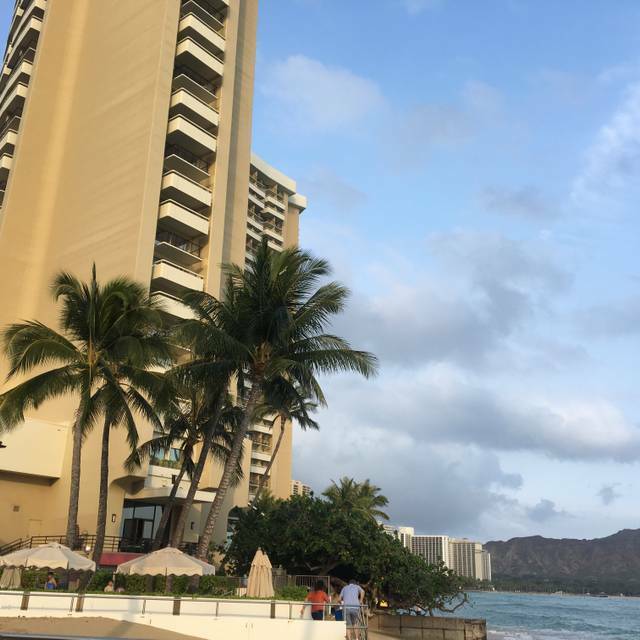 We returned to the restaurant twice more during our stay at the Halekulani Hotel. Found this restaurant, last day of your trip. It was perfect. 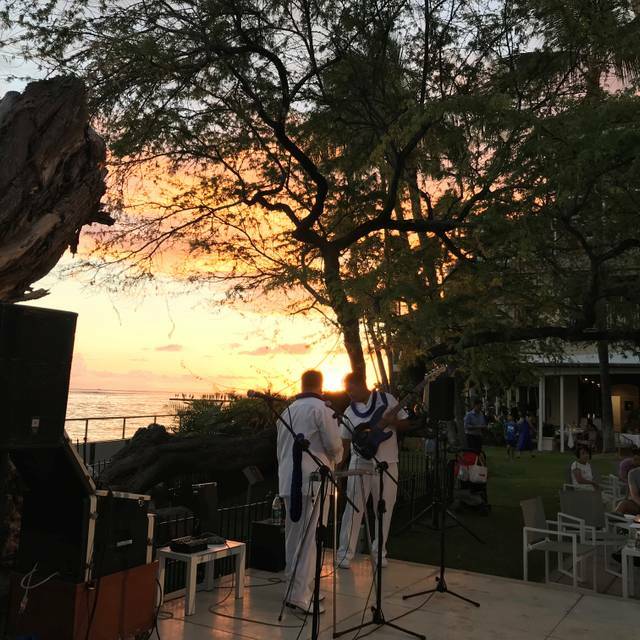 We liked that it was ocean side, outside, beautiful sunset, , Hawaiian music and great food. Could not ask for a better end to our vacation. You simply can't beat a setting like this! Absolutely stunning hotel, and the grounds for the restaurant are out of this world gorgeous! The wait staff was very attentive and with Aloha. Our Ohana really enjoyed the foods and will be back again! The live music was icing on the cake, love the old school Hawaiian sounds, and definitely appreciate the lovely Hula dancers! I with the dinner options were a little better, but all in all my husband and I had a lovely dinner. The location is amazing, perfect lightly cool evening with sunset. However cinsideriing the price I found the meat on the tough side. For example the prime rib I had at the Blue Note was far superior. It certainly didn’t seem to be prime mest, more like choice. Great ambiance and service. My only critique is the scarcity of non-seafood entrees. This was a lovely dinner, great food and beverages, beautiful dining and cocktail areas, wonderful music, and awesome service! Joe, our waiter, was attentive, personable, and went out of his way to help make our evening special. Our pupu, entrees, and coconut cake were delicious. The oceanside setting was unbeatable, especially with Ocean, Harrison, and Chuck playing while Kanoe danced the beautiful hula. 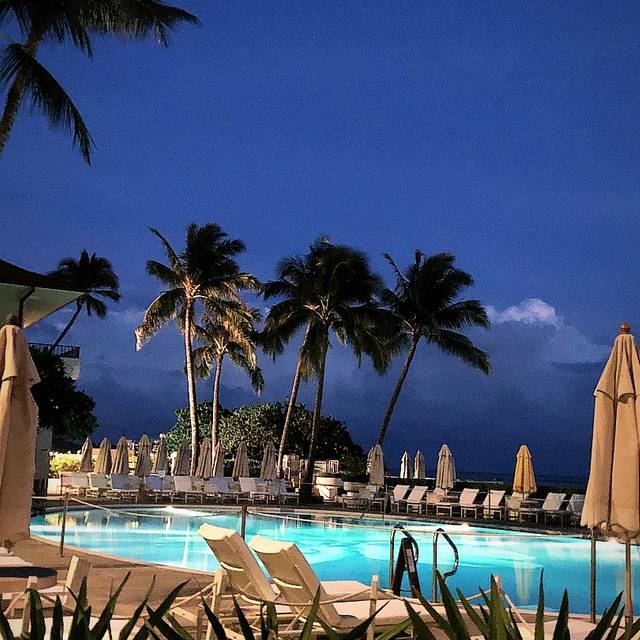 Thanks to the Halekulani for a memorable evening...we'll be back!! Most everything was fine. But, one guest's food had to be sent back to the kitchen because it was undercooked and it took a very long time to redo. Others were almost finished before that guest got his food.